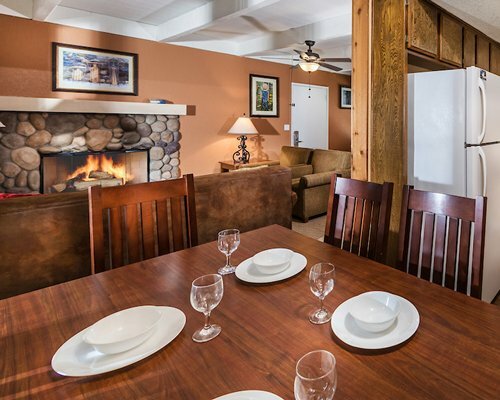 Set among tall, fragrant California pines, Lake Arrowhead Chalets is the getaway spot for your perfect mountain vacation. 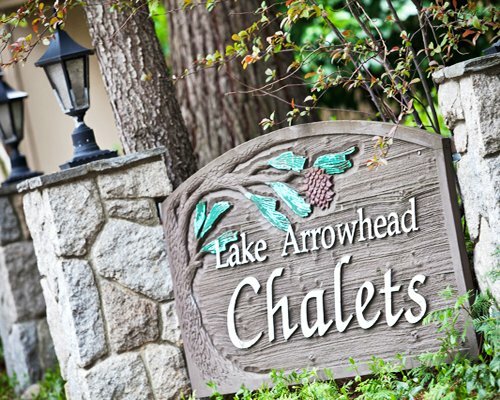 Nestled in the woods of the San Bernardino National Forest, Lake Arrowhead Chalets is close to shopping and a movie theater. 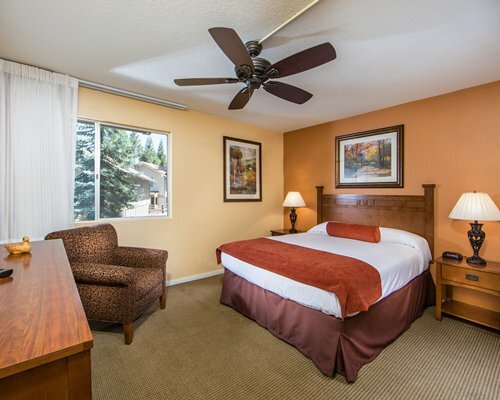 The resort is only fourteen miles from Snow Valley and twenty-six miles to Big Bear Lake for additional skiing. 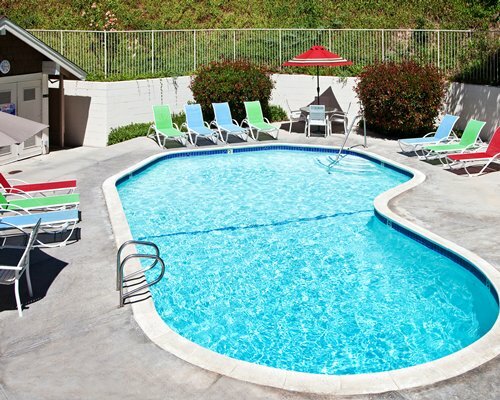 Fish or swim from the resort's private dock (lake is private and only fishing and swimming are allowed on it, no boating) or use the resort's seasonal outdoor pool, dry sauna, barbecues, or club house with a pool table and Ping-Pong. Wireless Internet access is available. 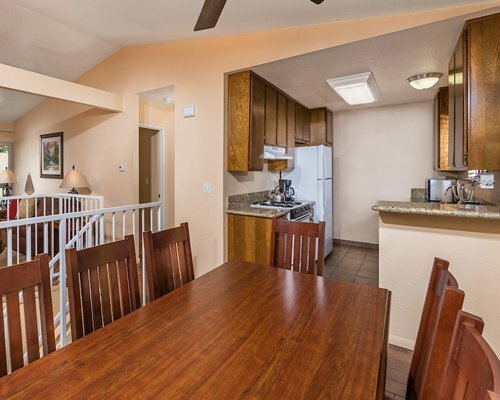 The 2-bedroom and 1 1/2 bath condo sleeps 6. 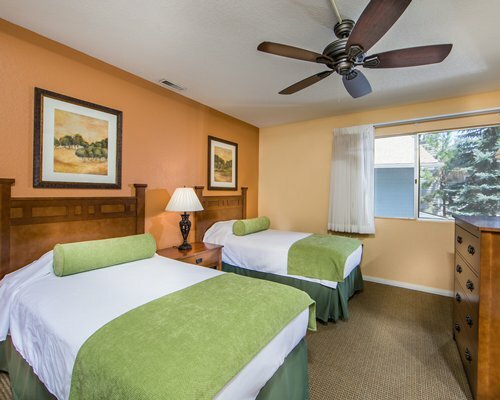 It features a master bedroom with a king-size bed and a 2nd bedroom with1 queen-size bed or 2 twin beds and a queen-size sofa sleeper. 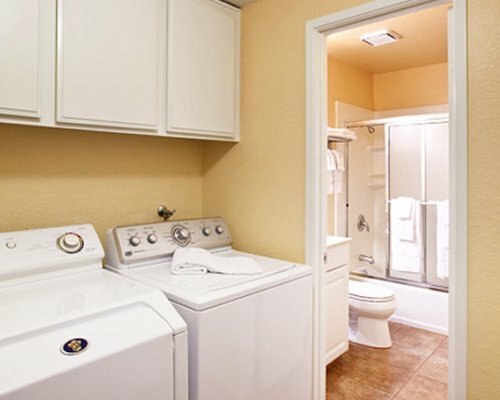 The 3-bedroom, 2- bath condo sleeps 8 with a master bedroom, king-size bed, and the second bedroom features a queen-size bed, and a third bedroom has 2 twin beds, a queen-size sofa sleeper and 1 1/2 baths, There is a fully-equipped kitchen, a dish network, DVD player, a telephone, a washer/dryer, wood burning fireplaces, and hair dryers, and much more in both unit sizes. 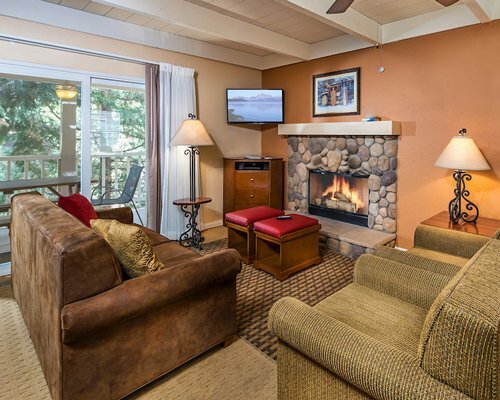 Lake Arrowhead is a magical community located in the heart of the San Bernardino National Forest. 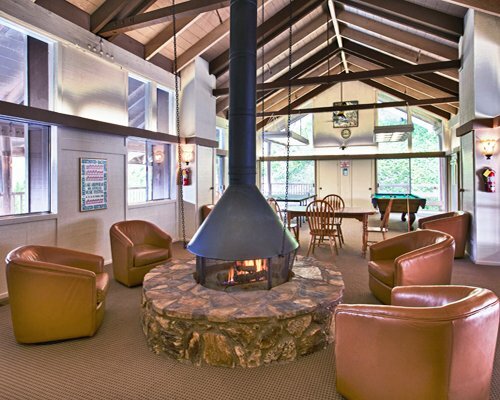 Since the 1890s, Lake Arrowhead has been a popular resort and vacation locale. 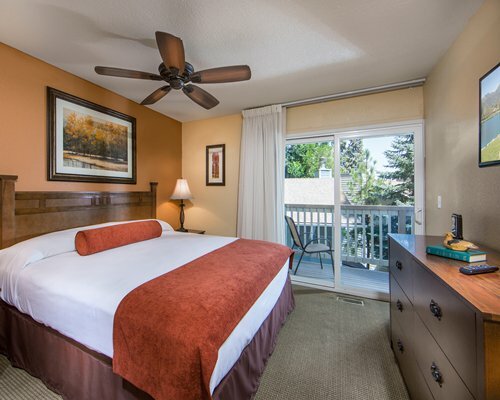 The breathtaking scenery of the San Bernardino National Forest and quaint village make this one of the most lovely and enchanting areas in California. The beauty of the area draws people here and keeps them coming back. 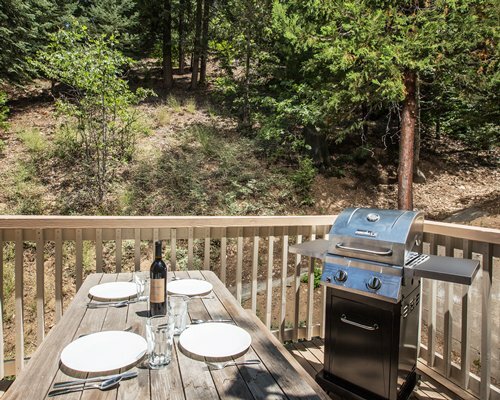 Hiking, fishing, swimming, browse the many quaint shops, or enjoy the fine dining and entertainment in the village. From Los Angeles/Ontario airports take I10 East to 215 North to 210 East. From Orange County take 91 East to 215 North to 210 East. From San Diego take I-15 North to 91 FWY and then 91 turns into 215 North to 210 East. Exit at Waterman Ave. Turn left at the signal if you were on I-210 East; turn left at the stop sign and right at signal if you were on 210 West. Stay on Waterman/Hwy-18 for approximately 23 miles. Turn left onto Hwy 173 and go 2 miles to the four way stop. Turn left onto Hwy 189. 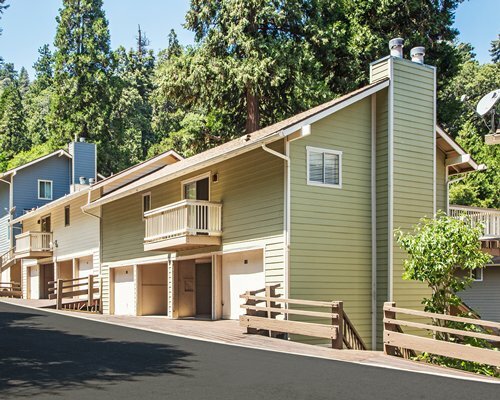 At the first driveway you will turn right into the upper level entrance to the Lake Arrowhead Village shopping center. 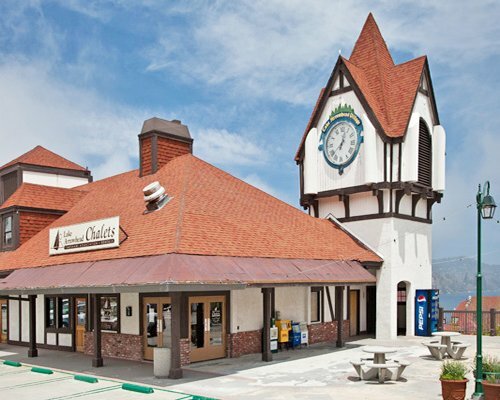 The check-in office is located directly across from the Stater Brothers Grocery store and next to the clock tower. Check-in office is not located on the resort property. 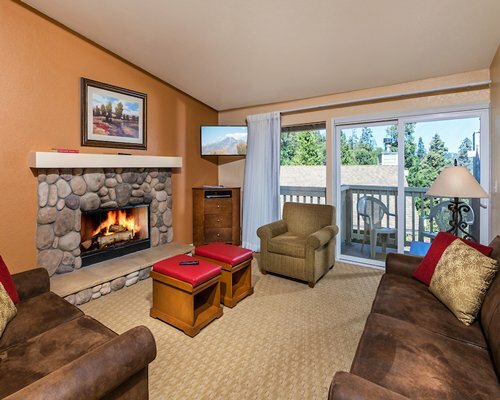 "Housekeeping fee for all RCI points reservations: There may be a fee of 56.00 U.S. dollars for 3 Bedroom units, per stay. Cash or Credit is accepted."